Which of these early portable computers is considered to be the first commercially successful? 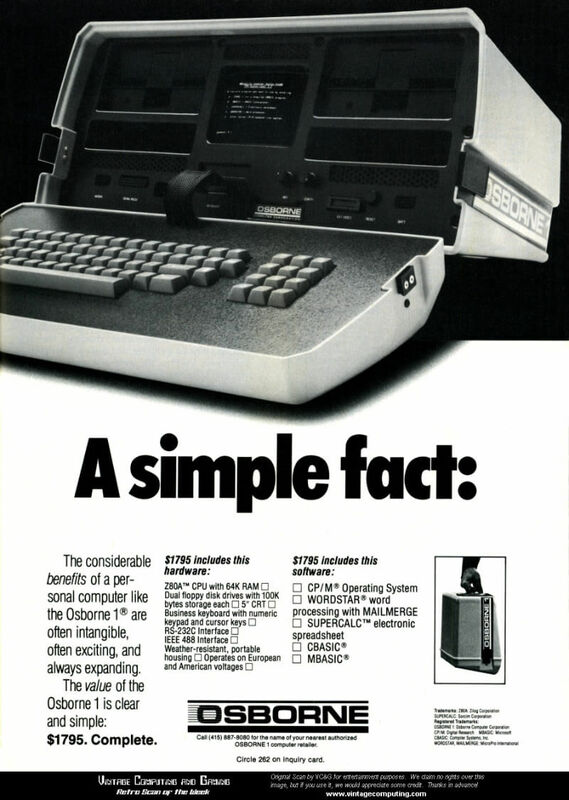 Created by British-American software publisher and computer designer Adam Osborne, the Osborne 1 is recognized as the first commercially successful portable computer, shipping in April 1981, at least a year before any of the others listed. Modeled after the Xerox NoteTaker designed by Alan Kay at Xerox PARC in 1976, the Osborne 1 launched at a cost of $1,795 featuring a 5-inch display, a Zilog Z80 clocked at 4.0MHz, 64KB of RAM, dual 5.25-inch floppy drives, a detachable keyboard, and the CP/M 2.2 operating system in addition to bundling a range of software that was said to be valued at more than $1,500 at the time. Reviews at the time noted that the 5-inch screen was surprisingly effective, further describing the system as being quiet, efficient and a great value, particularly because of the included software.